Popular with Dentists, Technicians and Chiropodists. 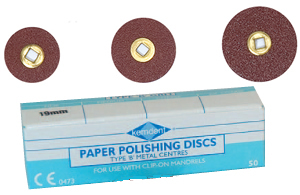 Type B snap-on discs are available in a wide range of grit sizes. Suitable for wet and dry conditions. 1 box contains 50 discs. Sold in outers of 10 boxes. 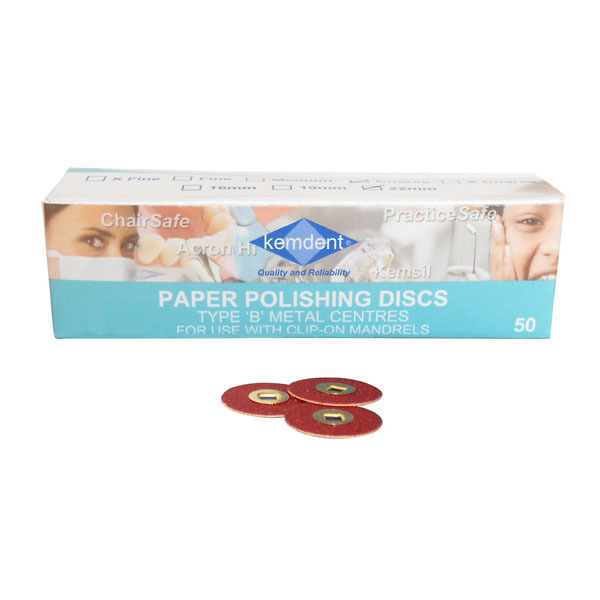 Kemdent paper discs are suitable for grinding and polishing a wide range of materials used in conservative and prosthetic dentistry including composites. Chiropodists find the discs excellent for the removal of hard skin and callous.